1. 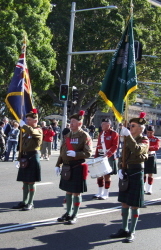 To organise activities so as to maintain the comradeship and the esprit de corps previously enjoyed by all members when serving in the NSW Scottish. 2. 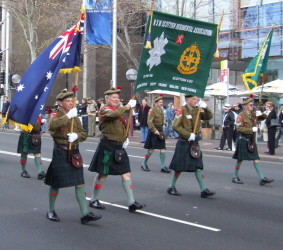 To keep contact with Alpha (Scottish) Company in particular and 2/17 Bn RNSWR in general and assist the OC A Coy and the CO wherever possible so as to help maintain and continue NSW Scottish Regimental traditions dating back to 1885. 3. To assist the 2/30th Battalion AIF Association and the 30th Battalion (1939-45) AIF Association whenever called upon.